“perhaps the county’s most valuable resource.” We completely agree. Being centrally located, Marina del Rey puts all of Los Angeles at your fingertips. Minutes from LAX and the Santa Monica airport, easy access to major freeways and discreet boat get-away’s gives Marina del Rey a triple threat of transportation options. Why would you want to leave though? We live where everyone else is trying to get to! A walk or a quicker bike ride takes you to the end of Washington Blvd which extends out into the Venice Pier. 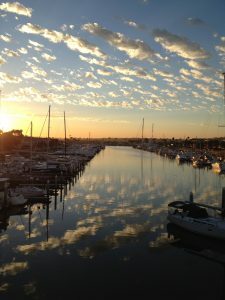 There is so much to Marina del Rey and we live and breath it. If you have to live outside of our little gem, MDR Condos can help you search all of Los Angeles, including: Playa del Rey, Playa Vista, Westchester, Manhattan Beach, Hermosa Beach, Venice, Santa Monica, Culver City, Mar Vista, Pacific Palisades, Brentwood, Bel Air, Beverly Hills and the Wilshire Corridor. Feel free to call (310-780-9396) or send an email for more information on the area and available real estate.